Detentions during the incident were reported as well. 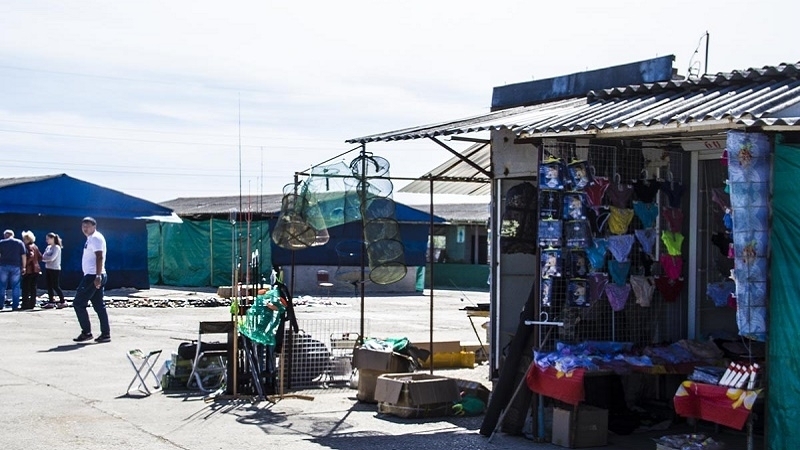 In Kerch on July 14, several vehicles with officers of the Russian OMON Special Task Force police and a car with people in camouflage arrived to the clothing market, according to the reports of local media. “About 20 OMON Special Task Police officers walking the market, standing at the entrance, but all the stalls are working. The officers came to "search for illegal immigrants," the source informed. OMON officers took about 10 people, presumably Chinese, to the cars of special services. At the same time, local journalists report that they took away sellers who did not have any documents with them. 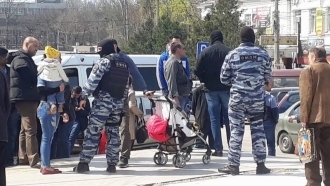 Earlier, on April 6 in the Central market of Simferopol raids of security officials were conducted. According to human rights activists, more than 70 people were detained, including journalist Taras Ibrahimov and human rights activist Andrei Krisko. Before they were released, the detainees were photographed, fingerprinted and their personal data was recorded. On April 26, on the radio market of Simferopol, officers of the occupation police also conducted a raid among entrepreneurs. Then the security officials seized the equipment that was not certified under Russian standards, but at the same time they checked the passports of the entrepreneurs. During the raid, an unidentified person who presented the passport of Ukraine was detained by the local "police" and sent to the police department.